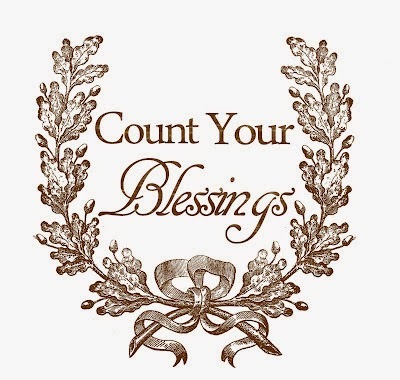 I count each and every friend I have connected with as a huge blessing in my life and I can't thank you enough for reaching back to me over the years. My heart and soul is full of gratitude today. there isn't much emotional nutrition in those. BTW...The Beam N Read Winner is being verified and will be available by checking the Rafflecopter widget HERE when confirmed. If you have not entered yet, please do so soon! If you blog, post to facebook, tweet, e-mail 20 friends about this giveaway TODAY, I will add your name an additional 15 times to increase your odds of winning :) You must comment below with the link so I can visit where you posted. Have a wonderful BRIGHT day! It's that time of year....time for a fantastic giveaway! The folks from Beam N Read are allowing me to give away a 6 LED Deluxe Hands-Free Light. If you are not tickled pink, you certainly should be....not an opportunity you want to miss!!! Why do I say this? I say/type this because I was so surprised by how much I use and enjoy my own Beam N Read light. When I first saw the light I thought to myself....great another light....who cares. Oh was I wrong and I'm guessing if you have that thought....you will be surprised by how wrong you are too! Having a Beam N Read 6 LED Hands Free Light will bring you, your family and friends 6 oz (including batteries) of total gratitude this holiday season, I promise :) The Beam N Read Lights are wonderful for power outages, camping, reading, late night work.....any time you need to BRIGHTEN you path....they work wonderfully. You also have the choice to use 3 LEDS or 6 LEDS by using the switch on the light...very handy ay? I have given away over 25 Beam N Read Lights over the last few years. I give them for birthday, Christmas, Going Away Gifts, Sorry Your Power is Out Gifts.....it is the truth...just ask my friends, neighbors and family. Recently I had a friend who was moving back to Shanghai and I gave her one as a going away gift. Knowing she would be on an airplane for a very long time I figured it would be very useful to her. Lisa said I was so thoughtful to think of a gift that she could use that would not take up much room. She works late hours on her computer and sometimes while in bed so I thought she would get a lot of use out of her Beam N Read. Sure beats getting another something that will collect dust! For you long time followers of my blog, you will remember the recent loss of my very dear girlfriend Mary Jane. I used her Beam N Read while caring for her during the night. The light allowed me to see the labels on the medication bottles without turning on the overhead light. I used it to read at night as well. The beam does not illuminate the entire room so it does not disturb people in close proximity. A bit of humor....Mary Jane had sores in her mouth so bad there were times she could not speak. She wanted her Beam N Read light so she was using her hand to make a flipping up motion to indicate what she wanted. I cracked up laughing because I knew exactly what she wanted immediately. She smiled big and I laughed out loud. Thank God for friends and light! Yes, I am very bad and work at night in my bed. For the sake of your sanity and eyesight I did not post a photo of me in my pj's using my light. You all know how "unique" I am....so it should be no surprise that I have made my own adjustable neck strap. I'm only 50 and I have already found that the more light I have while sewing or reading...the BETTER! I have found using the orange filter (both a red and orange filter are included) that comes with the light helps to block some of the blue light from the LED bulbs. I have been recently educated to the effects of blue light that is emitted from LED's (computers, televisions, hand held devices and phones). Did you know blue light effects your sleep patterns and can cause other health problems as well? Yep....you can actually mess up your sleep by using blue screens before bed. Just ask me how I know!!! Sources to read about blue light: Harvard Health Publications, Environmental Health Perspectives, The Washington Post....there are so many...Google for yourself if you do not know about this subject. Having two young boys who want to be on a screen 24/7, I found this information very important. Winning a Beam N Read 6 LED Hands Free Light will definitely make your holiday season brighter. Why not give one to everyone on you list....I bet they thank you for years to come! The feature blogger today on the Patsy Thompson Blog Hop is SewCalGal. Have you been over to see her work and read the great ideas and information she has shared? If not...just click HERE. Be sure to stop by each of the 5 blogs that are participating and leave a comment so you will be eligible to win a downloadable design from Patsy Thompson Designs. Patsy has posted several great tutorials and shared some of her beautiful work on her blog as well so be sure to hope over there....or just click HERE. Patsy Thompson wonderfully gifted teacher, freemotion quilter and hyperquilter, machine embroidery designer, and award wining quilt artist. 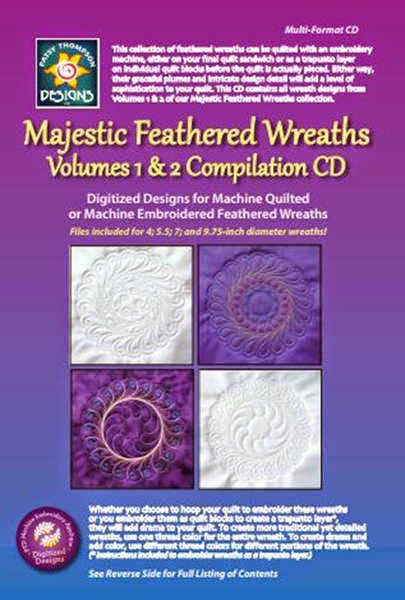 Unless you have taken a class with Patsy or watched one of her DVD's....you can not really appreciate the gift Patsy has for teaching and sharing her joy and enthusiasm for quilting and machine embroidery. Gene Black Quilter, Artist and Weaver in Alabama. If you don't follow Gene's blog or watch his YouTube Videos....you are really missing out on a fun loving creative mans adventure in quilting, art and weaving....not to mention cooking, baking, soap making and sooooo much more. Marjorie from Blue Feather Quilt Studio who by the way is also a great machine embroidery digitizer and quilter. Here works is lovely and you can find it HERE. And last but certainly not least....the ever so dedicated, information providing, quilting industry supporting super hero....SewCalGal. I'll post the links to the blog posts one last time here just to make your reading journey a bit easier. Have a wonderful weekend and best of luck to all of you in the drawings on each blog! Hopefully you have visited Gene's Blog and Marjorie's Blog to see what amazing creations they have made with Patsy Thompson Designs. Make sure to leave the appropriate comments so you can be eligible to win a downloadable design from Patsy's website. If you are a no-reply blogger, you can't be contacted if you win so make sure to include your e-mail address. Today I have a guest blogger who has used Patsy's design Tulip Quartet Block to make a Tulip Tote Bag. To be clear, this post is not part of the Patsy Thompson Design Blog Hop....I just wanted to give Diane an opportunity to share her thoughts and project. Hi, I'm Diane and I'm a Patsy Thompson fan! Not long ago our embroidery guild scheduled a class with Patsy to learn her technique for multiple hooping. We made a beautiful wreath design on our embroidery machines. Patsy uses a 'crosshair' design for multiple hooping, and I can tell you that really works for perfect placement in multiple hoopings. And get this - the crosshair design is FREE on Patsy's website under 'Education' and then 'Machine Embroidery'. I have used the crosshair design in other projects as well. Patsy's tutorials on the website are so detailed and user friendly, and fun to watch! Patsy is a natural and her love of all things sewing/quilting/embroidery is evident in all she does. I've had the pleasure of making her tulip totebag as well. Literally every time I take it out in public women admire it and ask me where I got it or how they can make one. I love it for the beautiful embroidery work and the bright, happy colors. Patsy has an eye for color that is enviable. 'Happy' just radiates from all she creates. Besides being extremely talented and creative, she is wonderful as well. If you have the opportunity, take a class from her! If you want to create something you will really love, try her designs and projects. Watching these designs stitch out is mesmerizing and the finished product is something you will love. I've also had the opportunity take a class with Patsy for her free motion quilting technique and I learned so much and had such a great time. Patsy is a true pioneer in all she masters and her love of sharing her knowledge is present in all her videos and classes. Thank you Diane for sharing your experience and insights with those of us who enjoy machine embroidery and quilting! Be sure to stop by Jean Creates Blog tomorrow to see what she has made for the Patsy Thompson Designs Blog Hop. It all starts here on Monday. The schedule for the week is below. Patsy has generously offered a giveaway everyday, one per blog!!! The prize is any downloadable digitized pattern or design on Patsy Thompson Designs Website. Today is Aaron's 12th Birthday! I can hardly believe my baby is 12 years old. I thought it would be fun to do a giveaway on his birthday. And the winner is Josie M. I have sent the e-mail from the Rafflecopter website. If you have not received it Josie, please let me know. I know I promised to post more photos of the kids doing more creative activities....however....the life of this woman is so hectic that I'm lucky I got this posted today! Hope you understand....if not....find a box of kleenex and let it all out. Brittany Maynard has ended her life according to the news. If you don't know who she was, Google her name. I followed her story and was amazed by Brittany's courage and strength. I'm not interested in a debate nor judgement. I know pain, I know loss and I know what is right for me is right for me. What was right of Brittany Maynard was to end her life with dignity and at at a time that was right for her under those circumstances. May angles have escorted you to heaven Brittany, and I pray you are the light in the morning sky. My condolences to your family as the loss of a loved one is immeasurable. You may not agree or like what is written here....but know....the only thing that separates us as humans is our judgement of one another. Yep....still a quilting blog....not advocating others follow Brittany's path.....but I feel I understand her path and can completely respect this young beautiful woman's decision. Just know, I'd stand by you too....even if you choose differently because I've always been about love and respect....even where there are differences.